This is the second piece in our four-part series on preparing for marriage. In step one, I talked about creating a dream list. Once you have created your list, it’s time for step two. When Tony and Maria got married, Maria wanted to have several children as soon as they could. And she hoped to leave her full-time job as an accountant and be a stay-at-home mom once their second or third child was born. Since having children and being a parent were very important to her, Maria assumed that Tony wanted the same things. So they didn’t ever really discuss the details of family. They both wanted children, and they figured the rest would take care of itself. Maria had an expectation of Tony that he never knew about. Neither of them had ever thought to discuss the details of family until the children began to arrive. Tony failed to meet Maria’s expectations, and he was hurt. He felt like a failure when he realized that she hoped for something he did not feel like he could provide. It also had never occurred to Tony to think about family from Maria’s perspective. He had his own expectations that he wanted Maria to meet, but he did not have the awareness to realize that she had expectations in the same area. She had not brought up her hopes, and Tony had never asked. When someone has an expectation that goes unmet, an expectations gap is created. And that gap is filled with disappointment, resentment, anger, frustration, and loss of trust. If you don’t know what your spouse’s expectations of you are, it’s hard to fulfill those expectations. When you fail to fulfill those expectations, the gap is there. But if you become aware of your spouse’s expectations, then you can prevent the pain that expectations gaps create. Awareness allows you to answer this critical question: What does your spouse expect of you? When it comes to your friendship, do you think your fiancée expects you to be her best friend? How often do you think she would like the two of you to have a date once you are married? What is your plan for nurturing your relationship in the years to come to keep your friendship strong? When it comes to conflict, how do you think your future wife would like you to speak, act, and treat her in moments when you disagree? Do you think she expects you to be passive, emotional, cool, or rational? In the area of family, how many children do you think your husband-to-be hopes to have? How do you think he expects the two of you will raise your family? How do you think he will expect you to interact with his family, and vice versa? Finances can be challenging. Money is usually the source of the largest number of conflicts in a marriage. What might your future husband expect of you when it comes to making money, saving money, spending money, borrowing money, and giving money to help other people? You and your husband- or wife-to-be have a lot of expectations of one another, but you don't know what you don't know—and neither does he or she. Luckily, there is something you can do about that . . .
Take Dynamic Catholic’s Better Together Marriage Inventory. The Better Together Inventory was created to help you and your future spouse have incredible conversations about your expectations of one another. You see how essential understanding each other’s expectations is to your marriage. The inventory is free and super easy to use. The inventory features 150 questions designed to help you and your future spouse recognize areas where your expectations might differ from one another. After you both submit your answers, your results will be emailed to you. The best thing about the inventory is how easy it is to understand your results and use them to initiate conversation. The first thing you should look for is any area where your scores drastically differ from one another. This indicates an area you should talk about. The next thing you should look for is any area where your scores differ from the preferred answers. Preferred answers are indicated by a score in navy blue, whereas answers further from the preferred answer will be in orange. The last thing you should look for is any area where your scores are particularly high or low, as these scores represent relative strengths and relative areas for improvement as a couple. Expectations are good. We all have them. But the key to expectations is to be aware of them, to communicate them honestly, and to manage them together—which of course will sometimes require sacrifice. 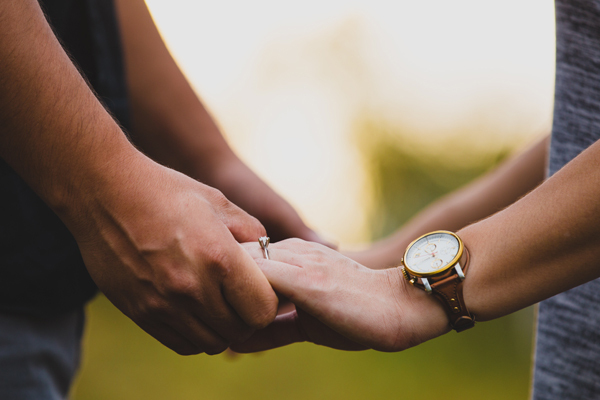 Awareness of what your spouse expects of you can prevent the pain and loss of trust that failing to meet expectations can bring. After all, the hardest expectations to meet are the ones you know nothing about. What does your spouse expect of you?